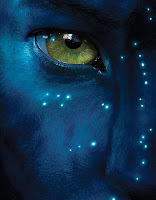 If you love fantasies, you would love Avatar, the best 3D I have ever seen with amazing effects. A perfect 162 min entertainer. If you're bored watching the romantic love stories where the heroine breathes her last and the hero sulks in her memory, you would like watching Avatar. If you have a long braid, try contacting its end to a wild beast. Maybe it will work. Why wait till 2154? ohh i loved the movie!! What I will not do to be there in Pandora! Delighted..:) A good movie!